Just toss in your car or purse and go! 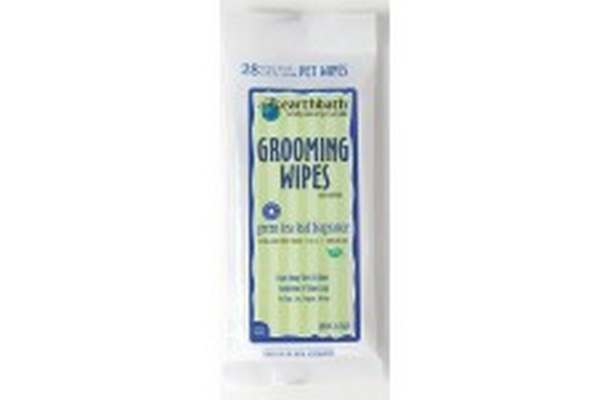 Use earthbath Travel Wipes with Green Tea Leaf Extract to safely and easily wipe away dirt and odor between baths. 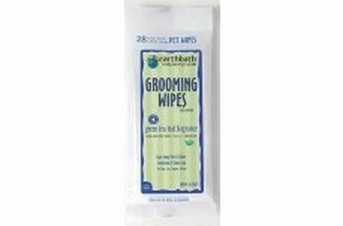 Handily clean pets' dirty paws and undercoat. Dirty bottoms too! Remove dander, drool, discharge and clingons from playing in the unknown. Mild cleansers freshen and deodorize as the anti-oxidant properties of Green Tea Leaf Extract protect from environmental damage. Hawaiian Awapuhi conditions coat and imparts a healthy shine while Aloe Vera and Vitamin E moisturize coat and skin. Do not flush wipes. Store in a cool, dry place.